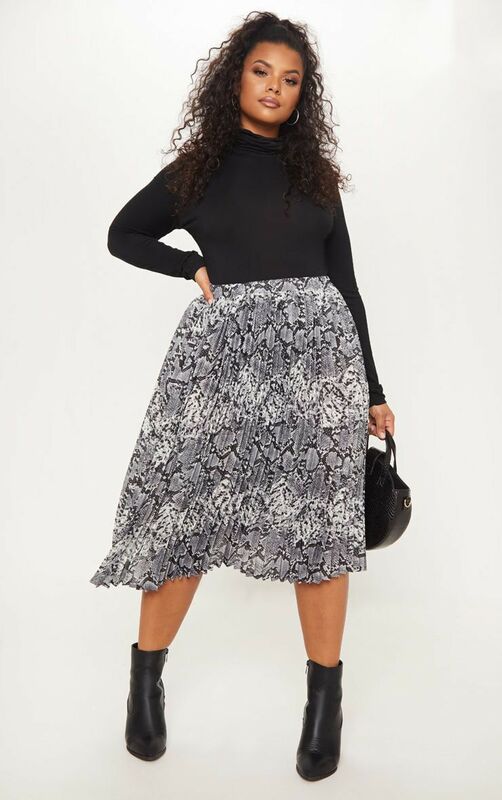 This midi skirt is perfect for any occasion, desk to drinks. 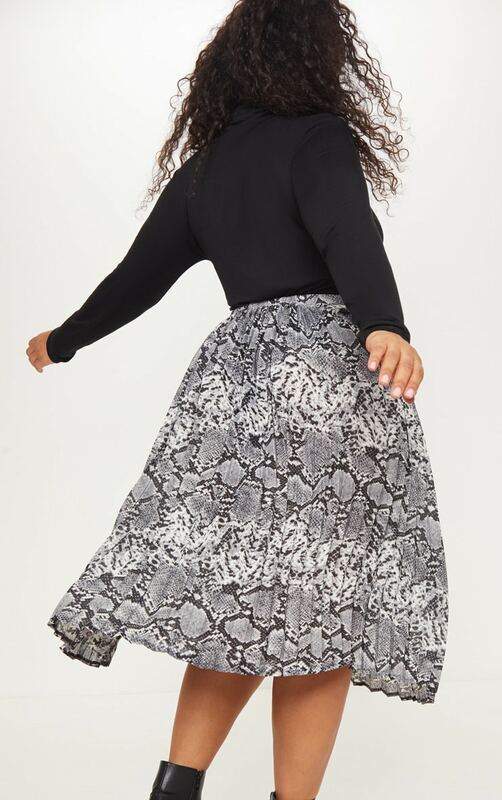 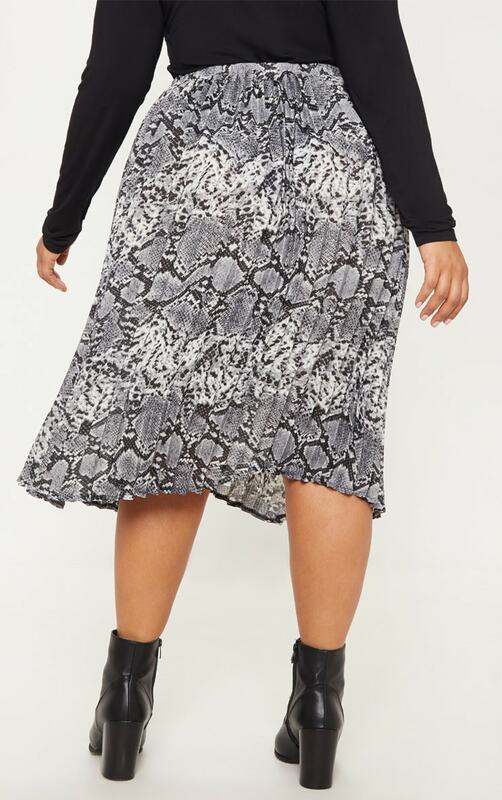 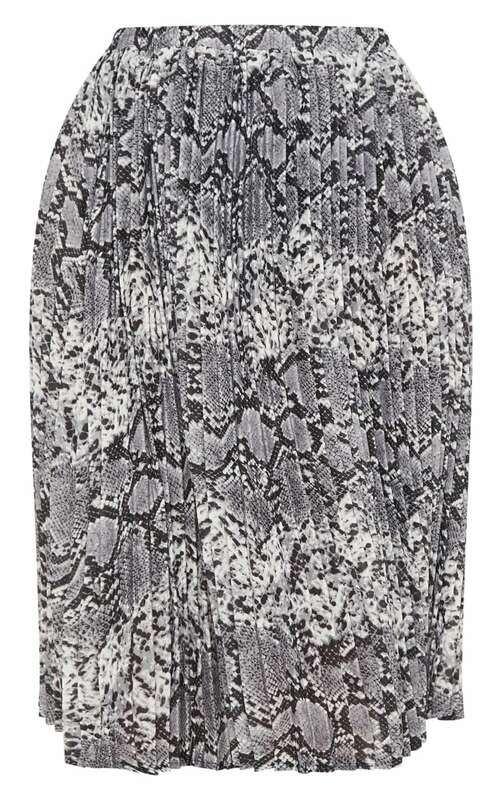 Featuring a grey snake print and pleated design. 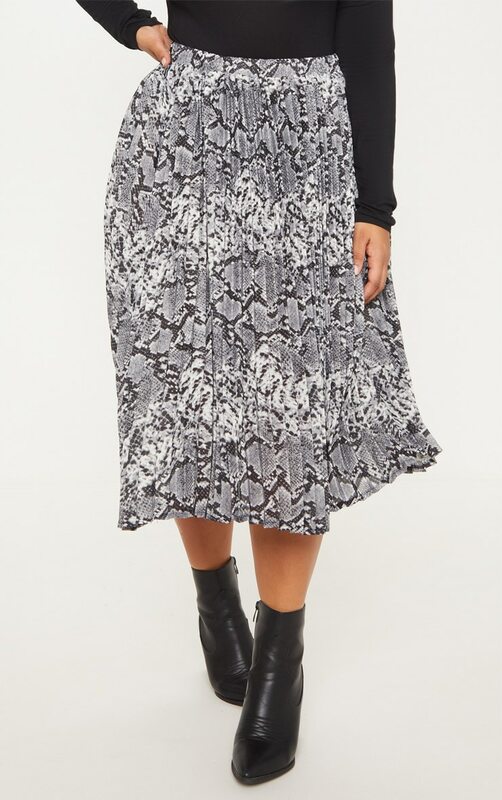 We love this styled with a black roll neck top and ankle boots for your chic winter look.